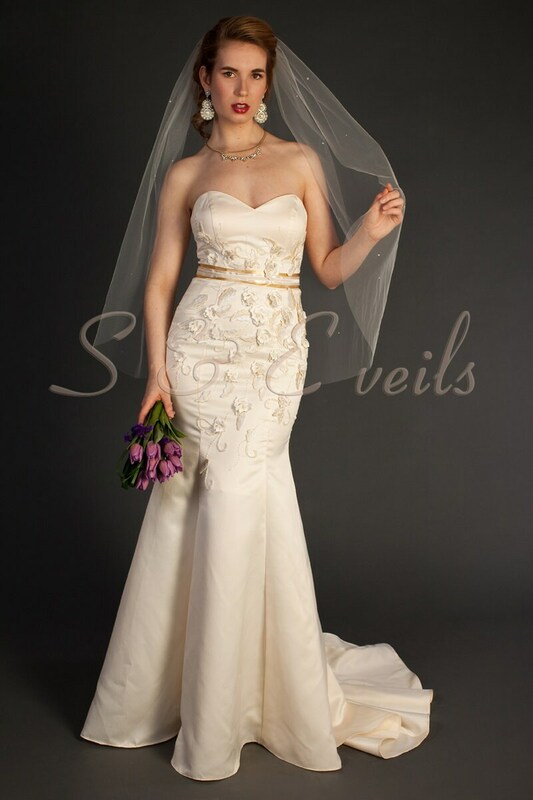 This veil is made scattered Pearls, the bottom is rounded, and it's made to your desired length. 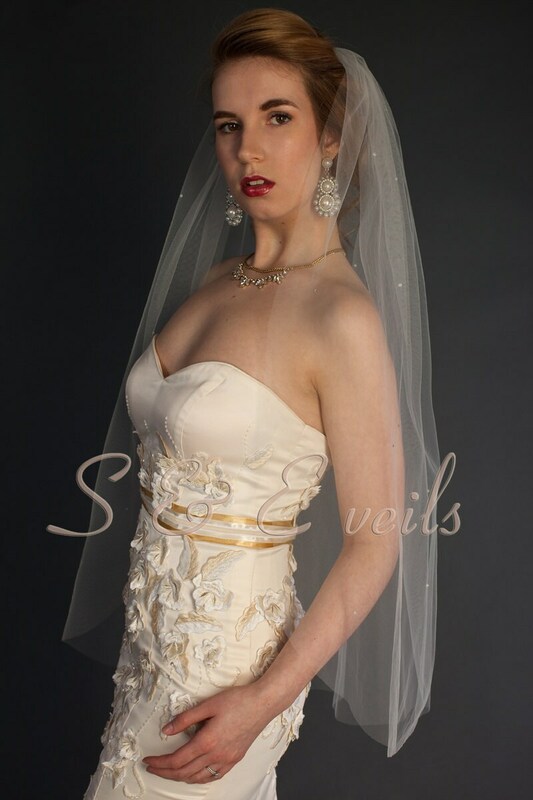 The veil is sewn to the comb for a secure fit. 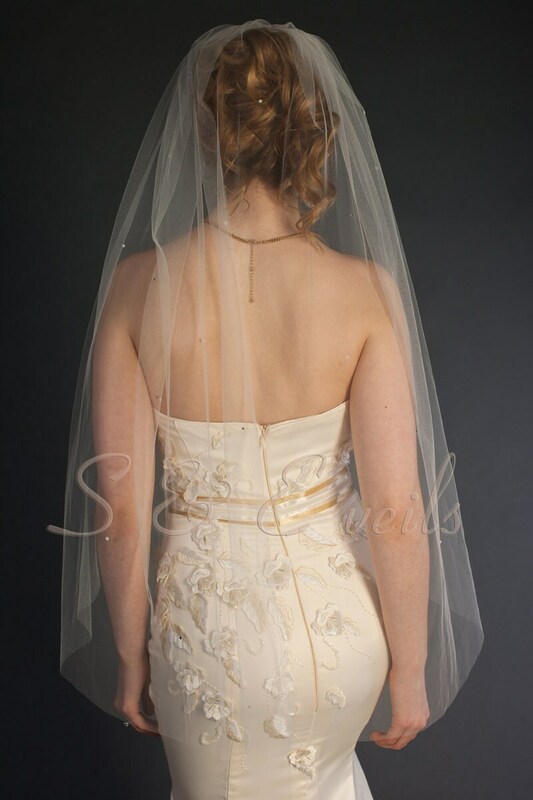 (The model shown here is wearing 54" x 36" veil). 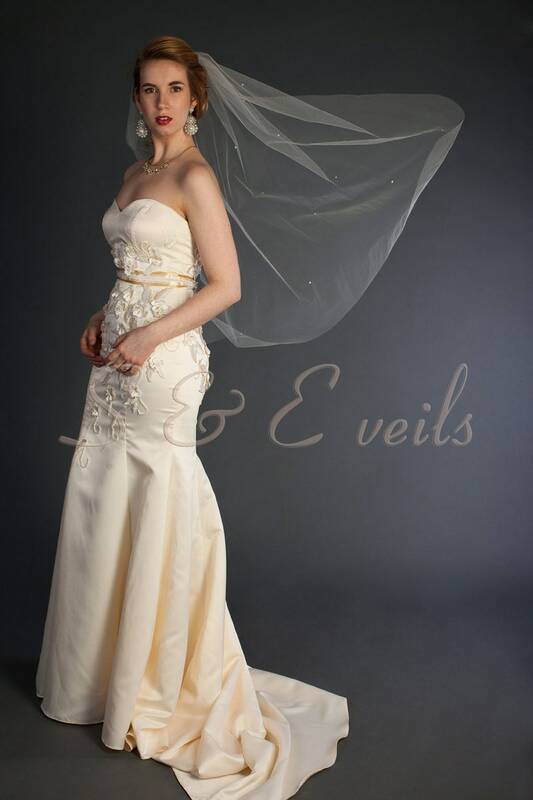 If you would like 2 Tier veil - please contact me. 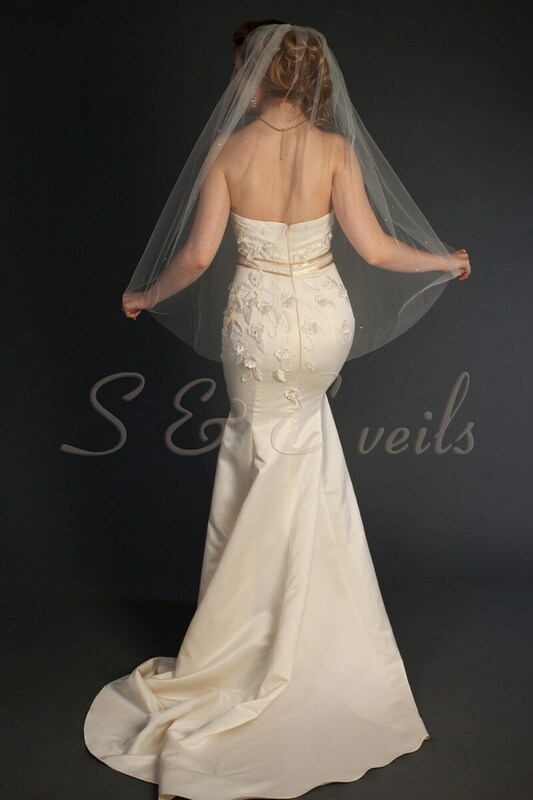 For fuller veil please choose 72" width.